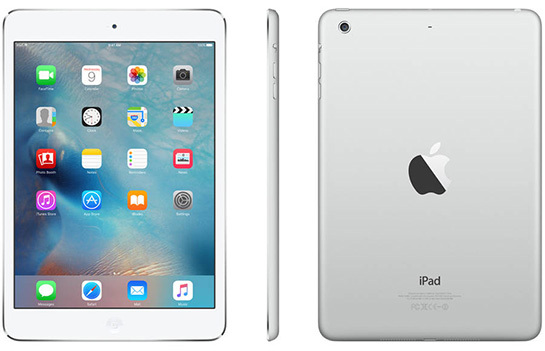 Apple today discontinued the iPad mini 2, which launched in November 2013 and was most recently sold for $269 in the United States. Apple's cheapest tablet is now the new 9.7-inch iPad, which starts at $329, while those preferring the 7.9-inch size can purchase the iPad mini 4 with 128GB of storage for $399. Apple's tablet lineup has now been narrowed down to the iPad Pro in 9.7-inch and 12.9-inch sizes, a low-cost 9.7-inch iPad, and the iPad mini 4. Rumors suggest Apple is also readying a new 10.5-inch iPad Pro with a narrow bezel design, which could be unveiled at a future Spring event, WWDC 2017, or even later. This actually saddens me more than it should for a few reasons. 3) Most importantly (for me!) the iPad mini 2 is my current main iPad. The earlier it's discontinued the earlier it will lose support. They need to further tighten up their product line, there's still too much overlap. Big jump in entry level price, and huge jump in entry price for the cheapest 7.9" iPad. Hard to argue that they should keep selling a 2013 product, but i would have liked seeing a 32gb iPad mini 4 for $299. They NEEDED to drop the mini 2. I had 2 friends enter the iOS ecosystem by buying an iPad mini 2 last winter (they didn't ask me) and they were shocked about how under-powered it was compared to android devices of similar price. I had to explain to them how outdated it was etc. Both returned it and swore off Apple devices despite my excuses and bought android tablets. Apple is not abandoning the mini, they are clearing severely old technology to make for a better experience. I still think (hope?) they will release a whole new line of iPad Pros including the mini with pencil support. - Maybe not all this year, but over the next couple. Why is the Mini more expensive than the standard iPad now? The iPad Mini is the only iPad I own and probably ever will. Every iPad since has been a complete joke. Good riddance. The Mini 2 was woefully outdated with the slow CPU and no Touch ID. They should have kept a lower-tier (say 32GB) version of the Mini 4 at a reduced price (maybe $329 or $299) though to cover the low-cost segment. Doubt it. They still sell plenty of them. They're frequently used for retail systems like Square. Those systems don't need a ton of power as they're not doing a whole lot. Seems to be a great spot for Apple to be and keep the mini around for it. And yet some think they'll add a 10.5" iPad so they'll have the mini, the standard, the 10.5" and the Pro? I don't see it happening. The 10.5" will replace the current 9.7" Pro. Lineup looks tidy now. Well done.